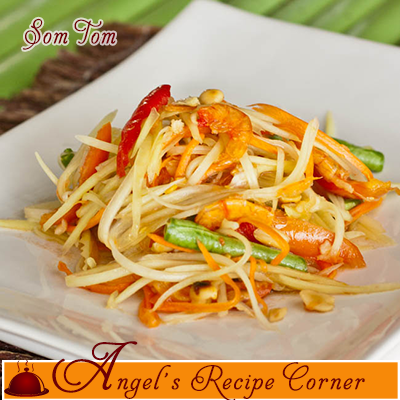 One of the national dishes of Thailand – Som Tom – Green Papaya Salad. Easy to make and full of flavors. A perfect balance of sour and spicy!